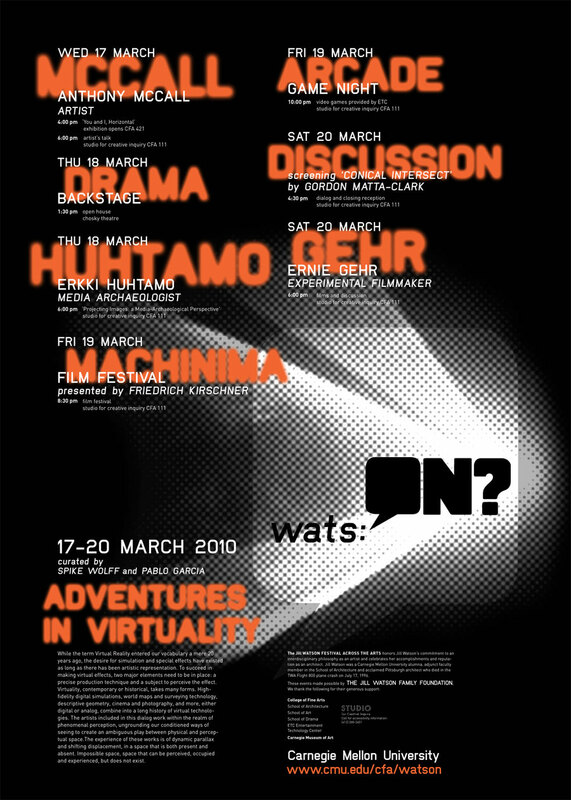 The STUDIO hosted the 2010 Wats:ON Festival, which brought interdisciplinary artistic innovators to campus to share their insights through a diverse offering of lectures, performances, workshops and exhibitions. 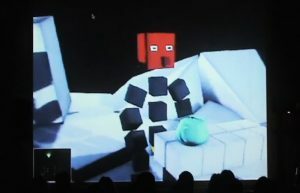 This year’s festival was coordinated by Pablo Garcia and Spike Wolff, and was themed around “Virtuality”. While the term Virtual Reality entered our vocabulary a mere 20 years ago, the desire for simulation and special effects have existed as long as there has been artistic representation. 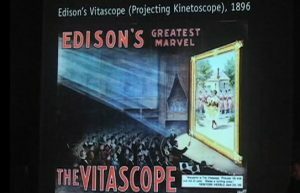 To succeed in making virtual effects, two major elements need to be in place: a precise production technique and a subject to perceive the effect. Virtuality, contemporary or historical, takes many forms. High-fidelity digital simulations, world maps and surveying technology, descriptive geometry, cinema and photography, and more, either digital or analog, combine into a long history of virtual technologies. The artists included in this dialog work within the realm of phenomenal perception, ungrounding our conditioned ways of seeing to create an ambiguous play between physical and perceptual space. The experience of these works is of dynamic parallax and shifting displacement, in a space that is both present and absent. Impossible space, space that can be perceived, occupied and experienced, but does not exist. 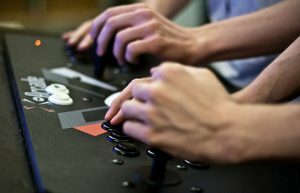 Events included a lecture presentation by Erkki Huhtamo, artist presentations by filmmakers Anthony McCall and Ernie Gehr, a Machinima Film Night curated by Friedrich Kirschner, an arcade of interesting computer games, and more. All events were free and open to the public. The Jill Watson Festival Across the Arts honors Jill Watson‘s commitment to an interdisciplinary philosophy as an artist and celebrates her accomplishments and reputation as an architect. Jill Watson was a Carnegie Mellon University alumna, adjunct faculty member in the School of Architecture and acclaimed Pittsburgh architect who died in the TWA Flight 800 plane crash on July 17, 1996. These events were made possible by The Jill Watson Family Foundation. A complete program of events is available from the poster included below and as a PDF.